on 11 September 2013 . Labor Day has come and gone and we can all feel summer ticking away. September is a curious month as we transition from summer to autumn. The weather can be unpredictable, and that can spell bad news for those still looking to sneak in one last summer getaway. Those who enjoy the arts will want to consider Tecumseh as a viable end-of-summer destination. This quiet, quaint, and small city features a massive artistic community that city most large cities can't even offer. The friendly downtown features numerous art events throughout the year, an amazing outdoor sculpture art walk that runs in the spring, an art gallery, and the Tecumseh Center for the Arts. The Tecumseh Center for the Arts is an adorable, 572-seat theatre that no matter where you sit, you get a full view of the stage. It opened in 1981 after being an anonymous gift to the community. Year round, the center provides a slew of performances ranging from local events to national touring productions. Past performances include the likes of Capitol Steps, Illusionist Jason Bishop, Rhythm of the Dance, and The Irish Rovers. 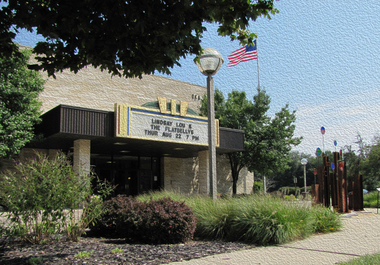 Found within the calming and unique downtown Tecumseh, the center serves as a hub of entertainment and the arts, not only to the community but visitors as well. While the outdoors and skydiving might be a couple of things that bring you to Tecumseh, it's the artistic community and a visit to the center that will win you over. A couple performances are on tap for this September for you to consider when visiting. On Sept. 14, Nora Jane Struthers & The Party Line, a folk quintet out of Nashville that performs story-songs with three-part harmonies, fiddle, claw-hammer banjo, acoustic guitar, bass, and drums, will hit the stage. On Sept. 20, Dragon Wagon Band, which plays Michigan roots music with the bluegrass, folk-rock vibe and genuine sound hits the stage. These last days of summer won't be your only chance to visit. With a look at the schedule, you'll find through May of next year, which include everything from local events, comedy shows, theatre performances, and more. You don't need an artistic mind to enjoy the artistic integrity found in Tecumseh and the Tecumseh Center for the Arts.